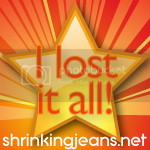 Today is Wednesday (obviously) and it's supposed to be check-in day over at The Sisterhood of the Shrinking Jeans. 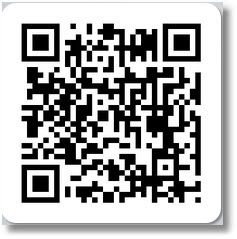 As you read this, I am sitting in my second day of inservices for the start of another school year. My first day was 11 hours long. I know I shouldn't complain, since I really have a most blessed schedule and I love what I do, but 11 hours on your first day back? That's just freaking cruel. I'm tired. My knee is all messed up from sitting cross-legged all day (today I'm making a vow to NOT cross my legs at my knees - please tweet at me and remind me, m'kay?). Since I've really fizzled on this challenge, let's just call this check-in a wash, shall we? I'm trying to breathe when stressed and did a great job yesterday when tech fails occurred multiple times. Not only work tech fails, but personal tech fails, too. Insult to injury, KWIM? Tomorrow, I plan to attempt my first before-work run. I have to get in 5 miles, which means I'll need to be up and running before the sun. Frankly, this scares the crap out of me and is the one time I wish I owned a dog, but I'll get it done. I'll make sure to run a well-lit and populated route to be as safe as I can be. I'm also thankful that this week is a step-down week again in miles, although 15 on the weekend still seems like and awful lot! So, there's my check-in. How did you do this week? Does the start of the school year improve or wreak havoc on your schedule? Yesterday I introduced you to my newest 26.2 sponsor, Melissa. 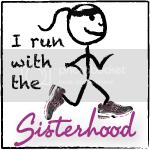 Would you like to join my sponsors Ben, Erin, Andrea, Lisa, Ann, the Sisterhood of the Shrinking Jeans and now Melissa in supporting me as I train to finish my first full marathon, the Grand Rapids Marathon? I have set up a sponsorship page in which you can help me reach my goal of crossing the finish line (sponsorship will help pay for race fees, nutrition/hydration, shoes, etc). You can click HERE, or click on the tab above. I would love and appreciate any support you can give me. Bloggy and linky love will follow, as well as the ability to sponsor individual miles and run "with" me on October 16th. I cherish all the love and support my readers have given me this year. I wouldn't be attempting this race without you.